On the sweltering morning of August 10, one of Lincoln’s uninvited visitors was Frederick Douglass, a tall, burly black man dressed in a dark suit and a high-collared white shirt. He had no appointment. He simply walked in off the street, handed his business card to a secretary and joined the people waiting to see the president. On this day, though, he’d come to Washington to protest the Army’s discrimination against black soldiers. Douglass made his case to Secretary of War Edwin Stanton that morning then walked to the White House to see the president. He settled in for a long wait but within a few minutes, he heard an aide holler his name. Douglass ignored the slur and entered the office. Lincoln stood up and held out his hand. Douglass shook it and began to introduce himself. The two men sat and Lincoln said he’d read a speech Douglass had delivered in early 1862, lambasting the president for his “tardy, hesitating and vacillating policy” regarding emancipation. Lincoln recalled the attack without anger and admitted that he could justifiably be criticized as slow to move against slavery. But on the charge of vacillating, the president pled not guilty. 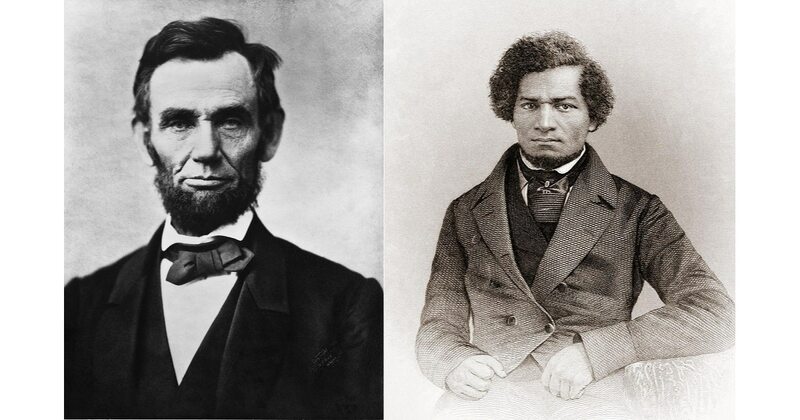 Douglass was amazed at the president’s candor and delighted that Lincoln was speaking to him as an equal — a courtesy that white people, even abolitionists, did not always grant him. “Mr. President, I am recruiting colored troops,” Douglass said, quickly adding that his efforts were hampered by the Army’s discriminatory practices. Black soldiers were paid only about half of what white troops earned, he said, and were not promoted no matter how bravely they fought. Lincoln listened, then sat silently for a long moment. Finally, he responded by giving his radical visitor a gentle lesson in practical politics. The reason he acted so slowly, he explained, is that a leader cannot get too far ahead of his people. As for the promotion of blacks, Lincoln promised that he would sign any promotion recommended by the secretary of war. Again, Lincoln heard Douglass out. Again, he felt compelled to disagree. “Once begun, I don’t know where such a measure would stop,” he said. Before leaving the office, Douglass showed Lincoln the document he’d received when visiting Stanton that morning — a pass proclaiming him to be “a loyal free man” and “entitled to travel unmolested.” Lincoln laid the paper on a table, wrote, “I concur” and signed it. The two men met twice more. Their final encounter occurred at a White House reception after Lincoln’s second inauguration. Policemen stopped Douglass at the door and told him that blacks were not allowed to enter. Douglass protested, then sent word to the president that he was outside. Within minutes, he was admitted. This article was originally published in the February 2011 issue of American History Magazine, a Military Times sister publication. For more information on American History Magazine, and all of the HistoryNet publications, visit HistoryNet.com.